Equifax Are you Affected? Security and your Personal Information. You will be asked for your last name and the last 6 digits of your Social Security Number. If you were not impacted you can feel good. However if your personal information is at risk you should call Equifax at 866-447-7559, every day (including weekends) from 7:00 a.m. – 1:00 a.m. Eastern time. The following is an update regarding the massive breach of consumer’s personal information at the credit monitoring company Equifax. “Three Equifax executives sold a combined $1.8 million in stock to insulate themselves from news that the credit monitoring company had been hacked. The cyberattack between mid-May and July was disclosed by Equifax on Thursday. The attack exposed the Social Security numbers and other sensitive information of about 143 million Americans. The stock sales were executed on Aug. 1 and Aug. 2 by Chief Financial Officer John Gamble and two other executives, Rodolfo Ploder and Joseph Loughran. Bloomberg News first reported the divestitures. The sales insulated the executives from the downturn in Equifax’s stock. The stock dropped 13 percent in extended trading after the announcement of the breach. 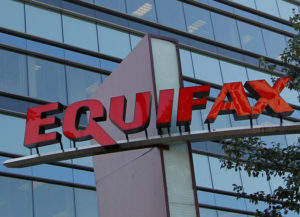 Credit monitoring company Equifax says a breach exposed social security numbers and other data from about 143 million Americans.